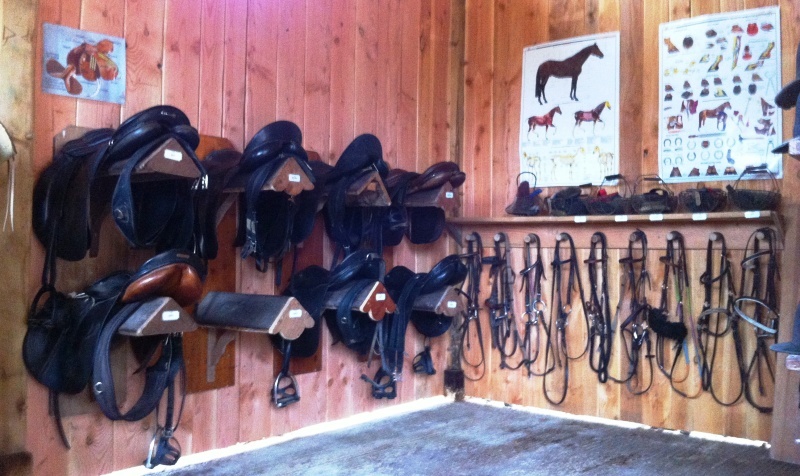 Private and group lessons are regulary proposed to all riders to each levels. 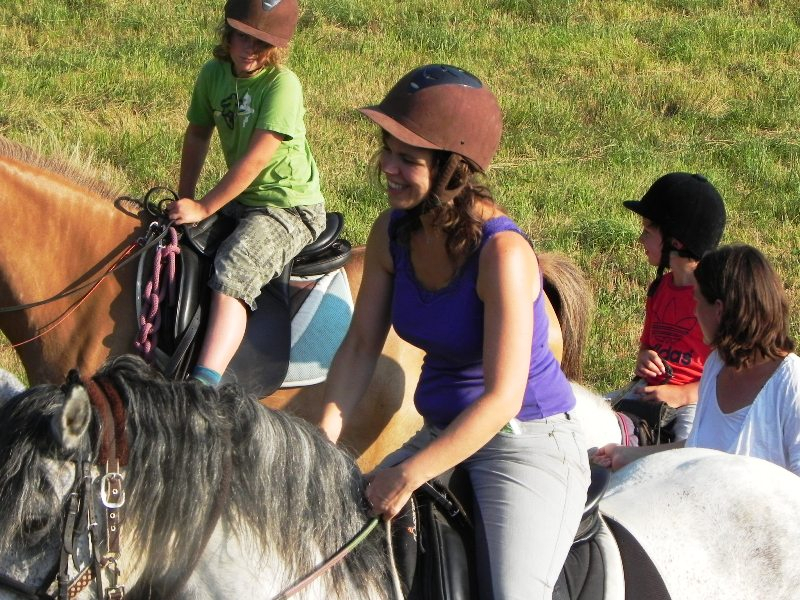 The membership card allows you to benefit from preferential rates on the lessons. 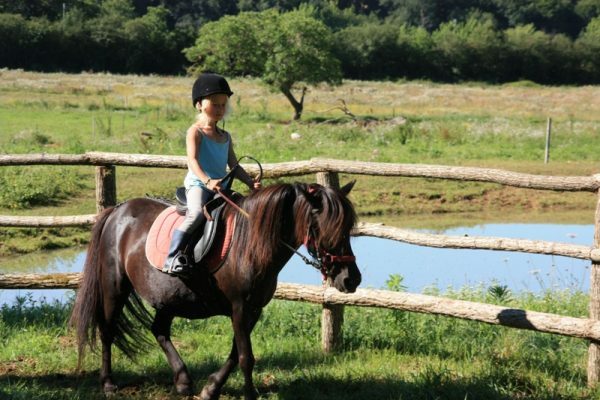 The price is 30 euros/year and is valid from september to end of august. 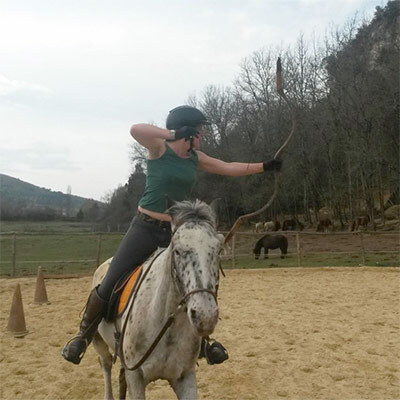 Dörte is our officially recognised instructor. 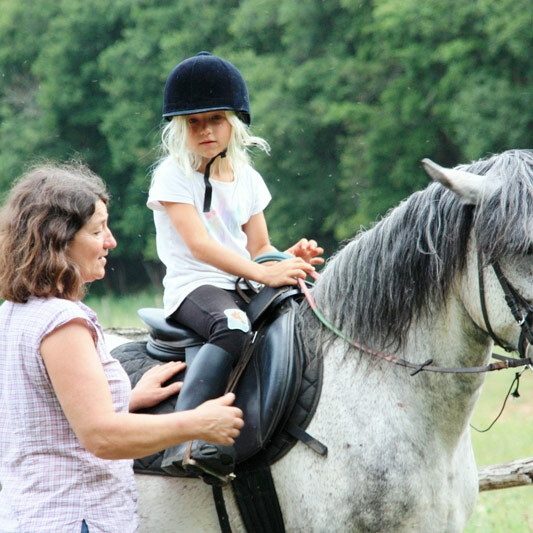 From the very beginning up to advanced level she will be pleased to teach you according to your wishes and abilities. 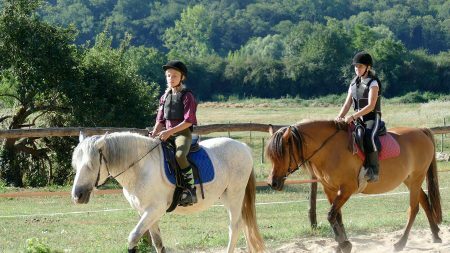 Her lessons are based on the step-by-step approach to the horse; you will be able to ride independently in nature as soon as possible. 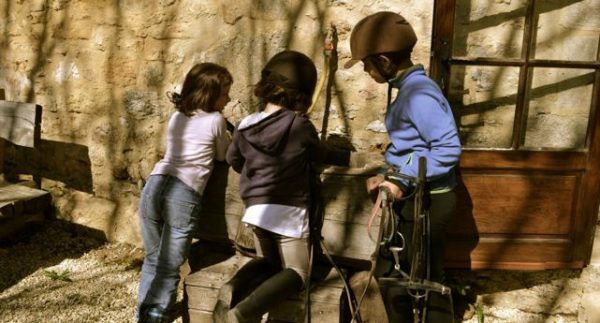 Furthermore Dörte is educated in groundwork..
Workshops and trails for different levels are proposed during the school holidays: initiation to the horse acrobatics, the show jumping, the harness, the care of the pony, the work on foot, etc…. 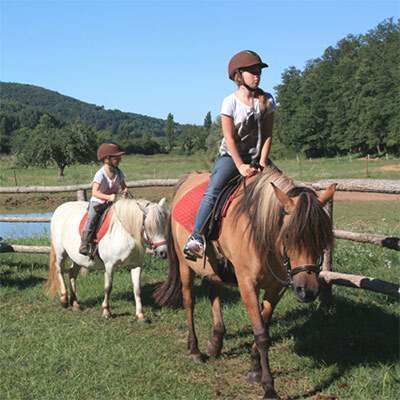 Do not forget your membership card to benefit from preferential rates on the training courses and the horse riding. The first hour takes place on the ground; the following two are done on horseback. 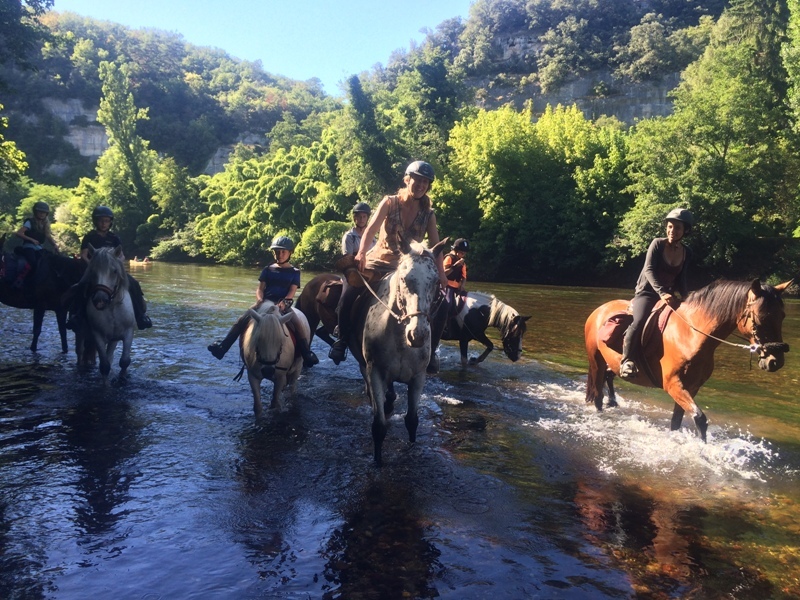 a little ride on the beautiful paths of the Vézère valley. 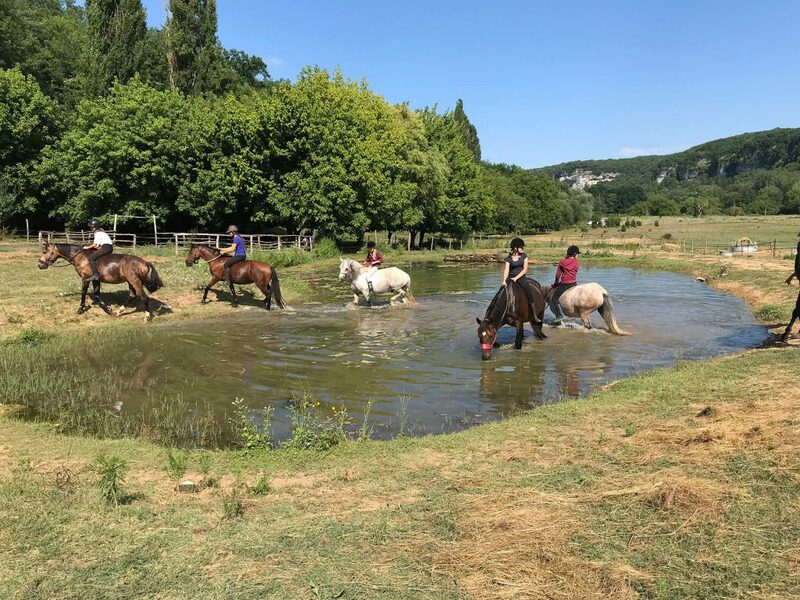 In a friendly atmosphere of holidays, training courses of half to a whole days to improve your technical capacities, to acquire a better knowledge of horses and in certain cases to prepare his your federal examinations. 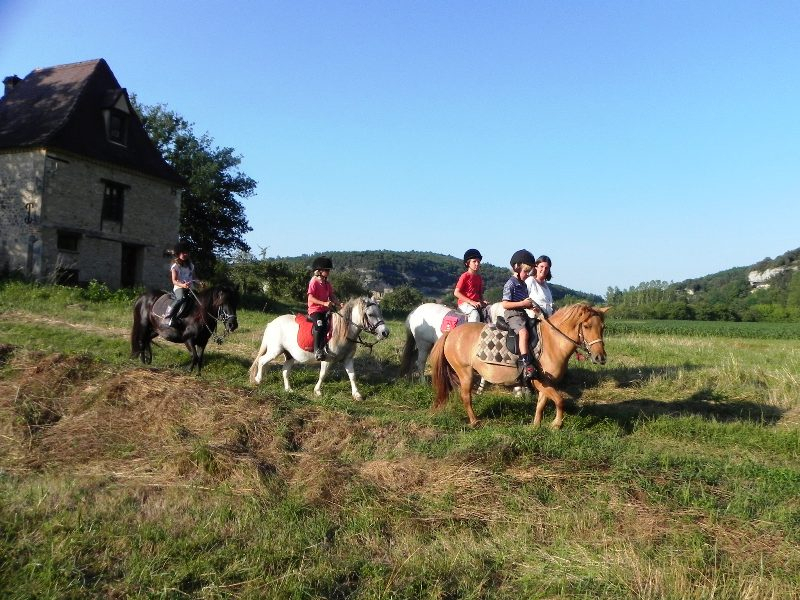 trail, ride on the beautiful paths of the Vézère valley. 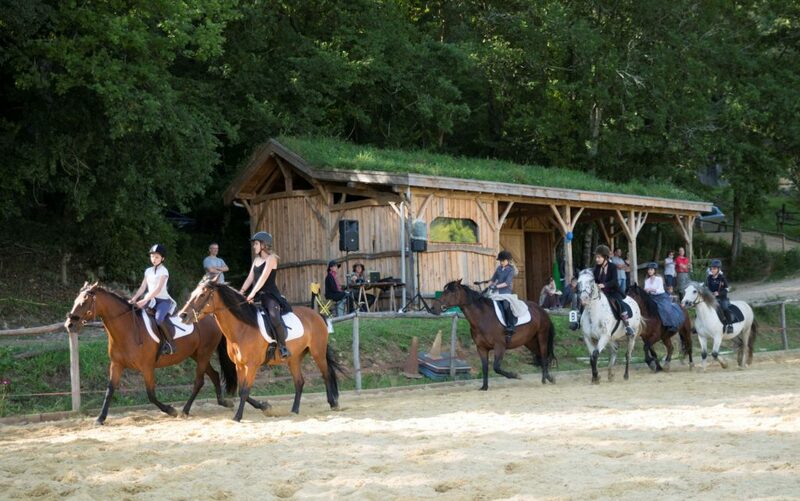 We invite you to make a very special experience! 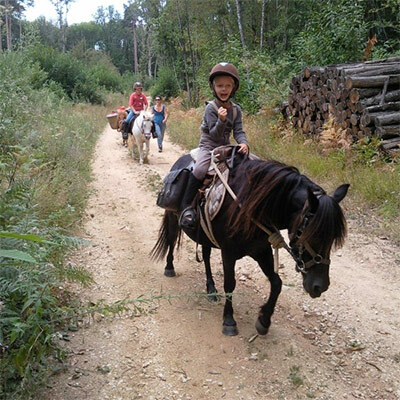 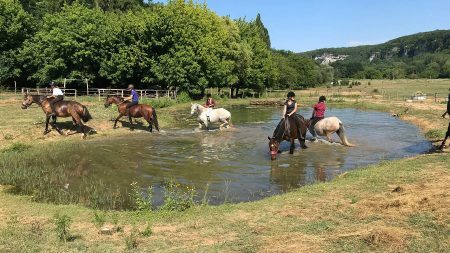 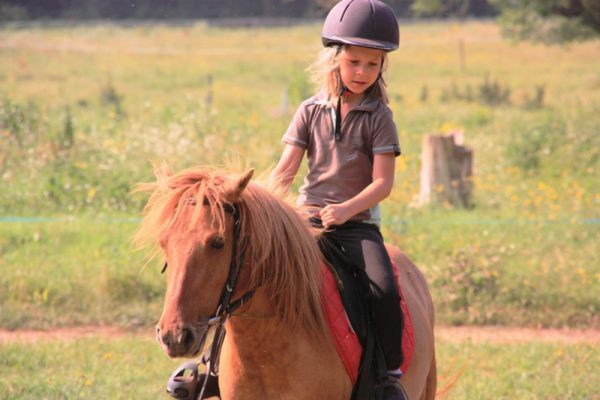 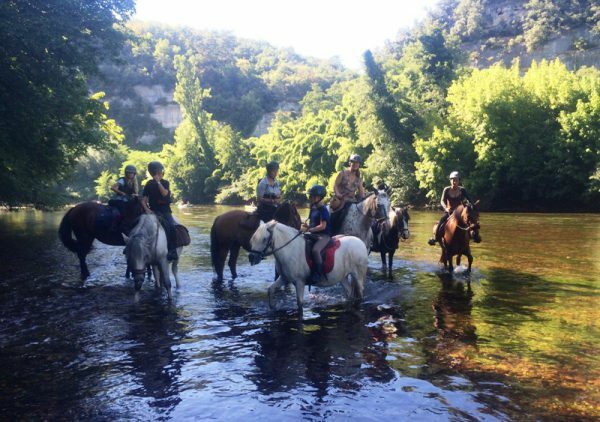 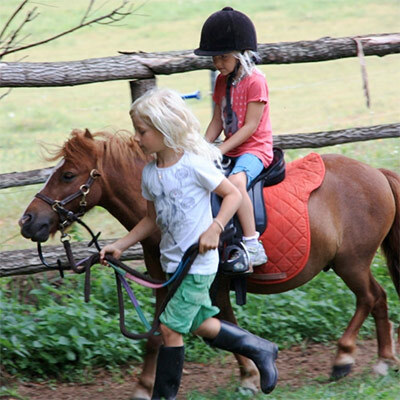 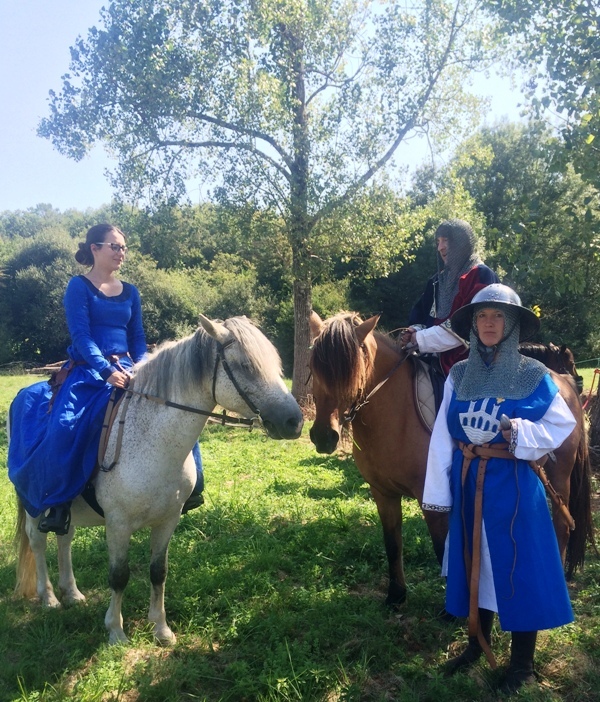 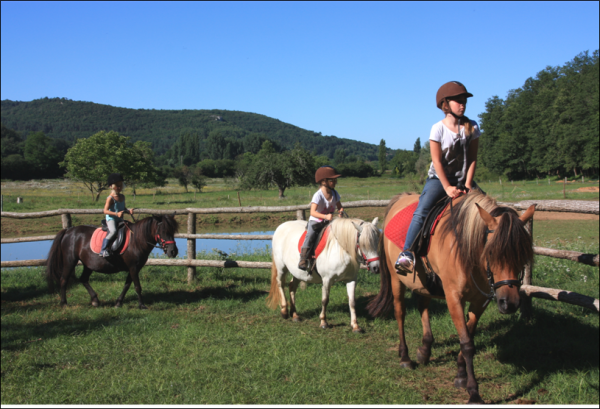 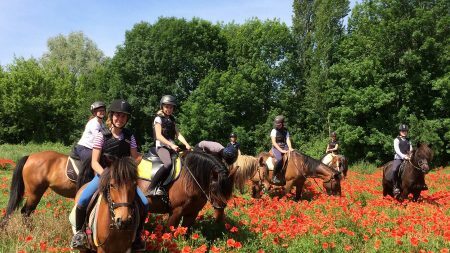 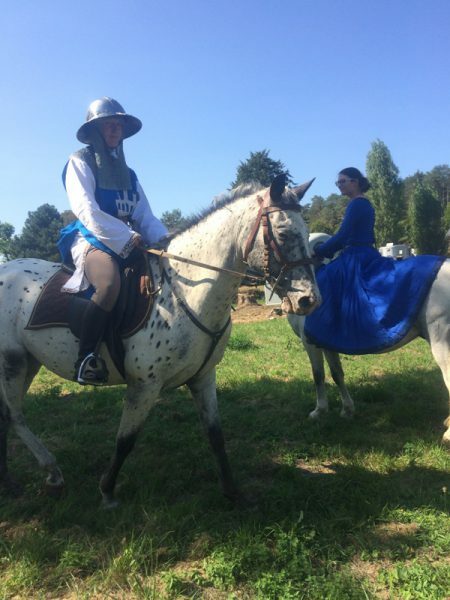 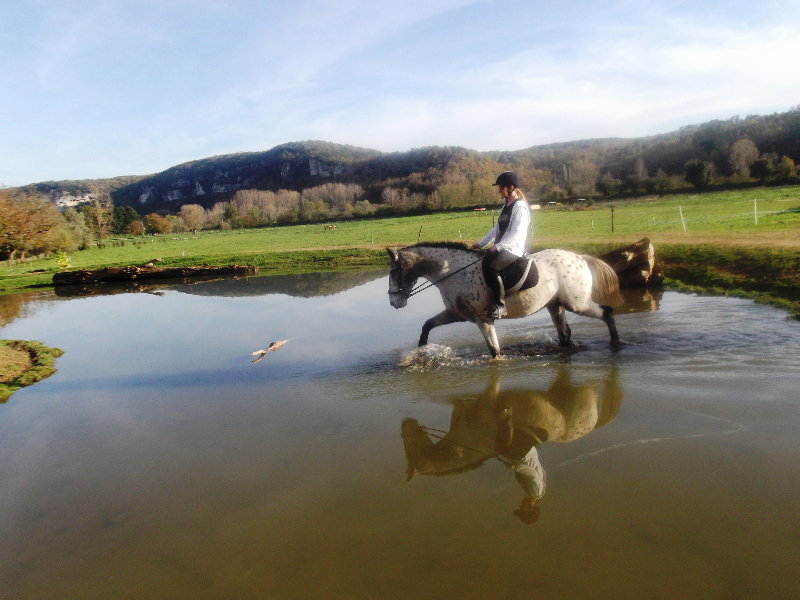 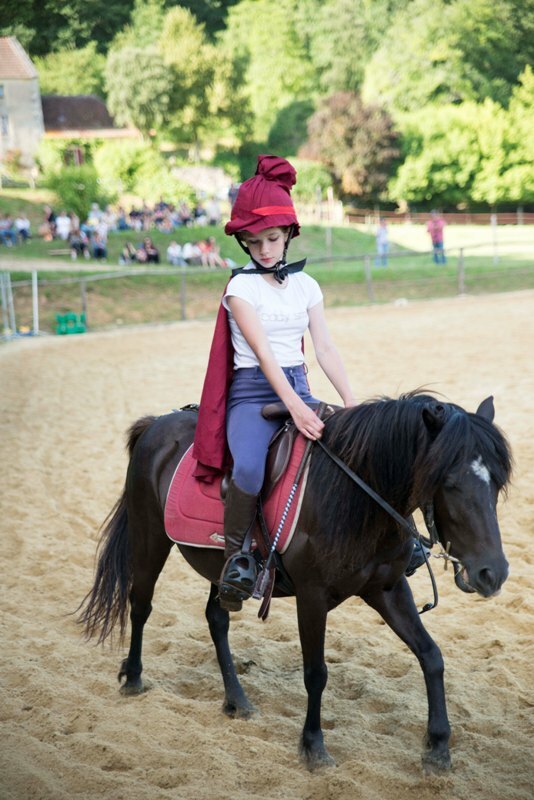 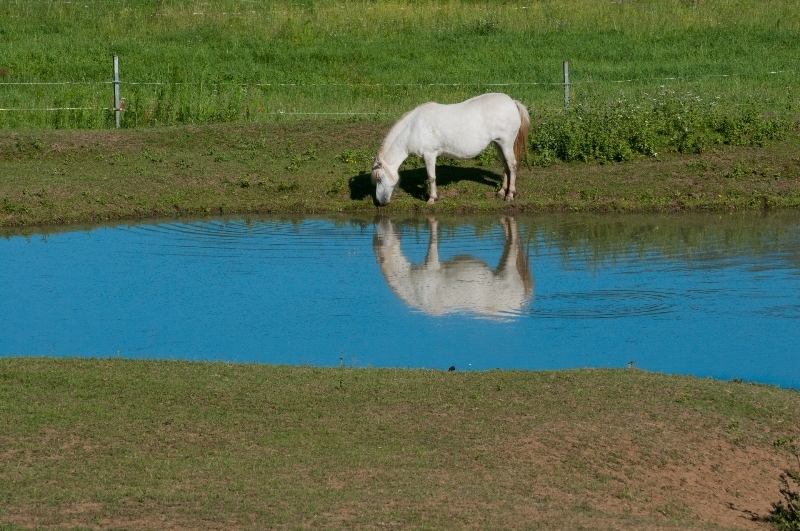 Your children are lead on horseback (depending on their riding skills) and you have occasion to discover the beautiful sites of the Périgord Noir. 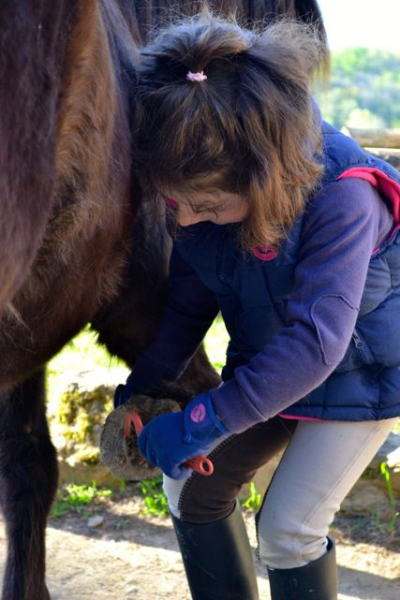 Each child is responsible for his own pony, with a helping hand of the parents; it will be shown how to groom and to ride on horseback. 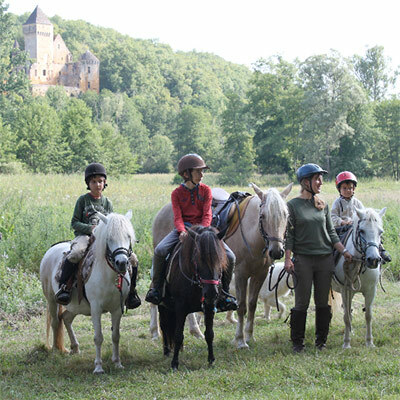 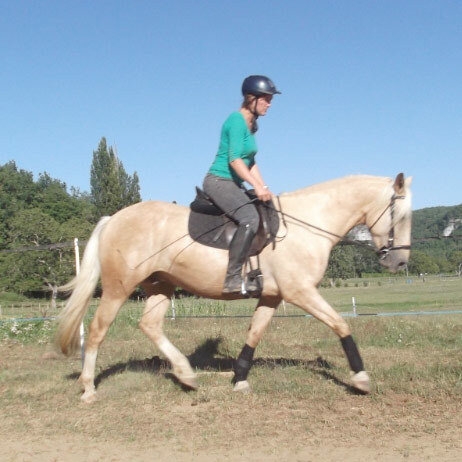 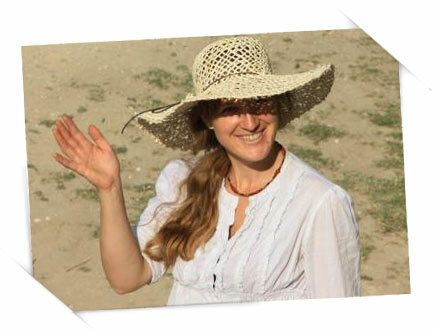 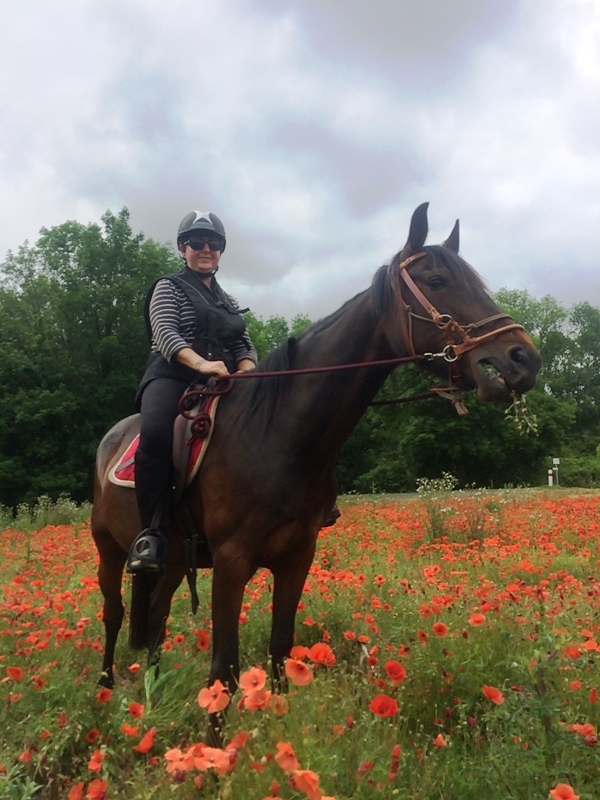 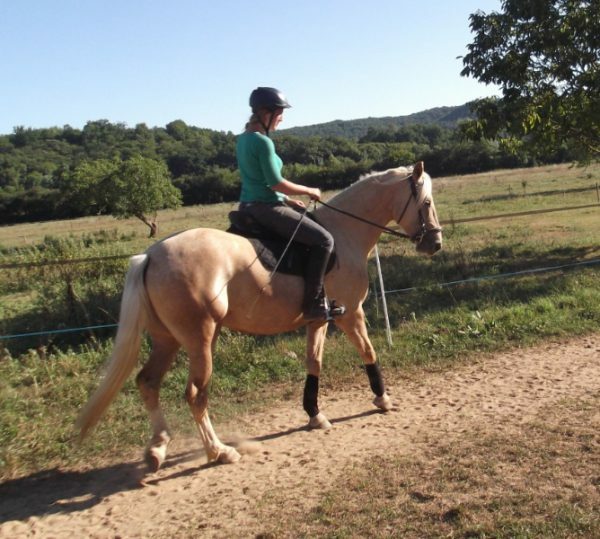 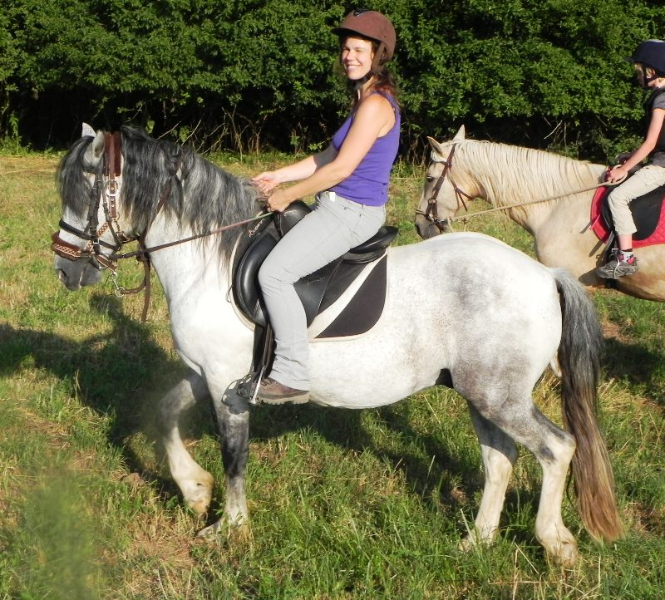 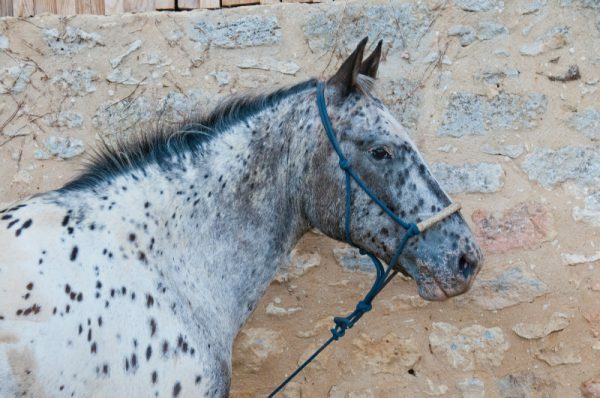 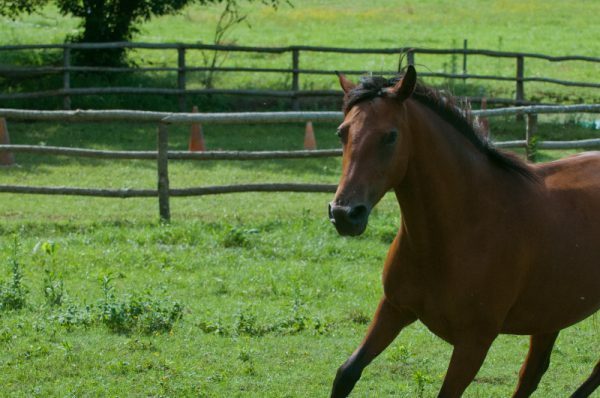 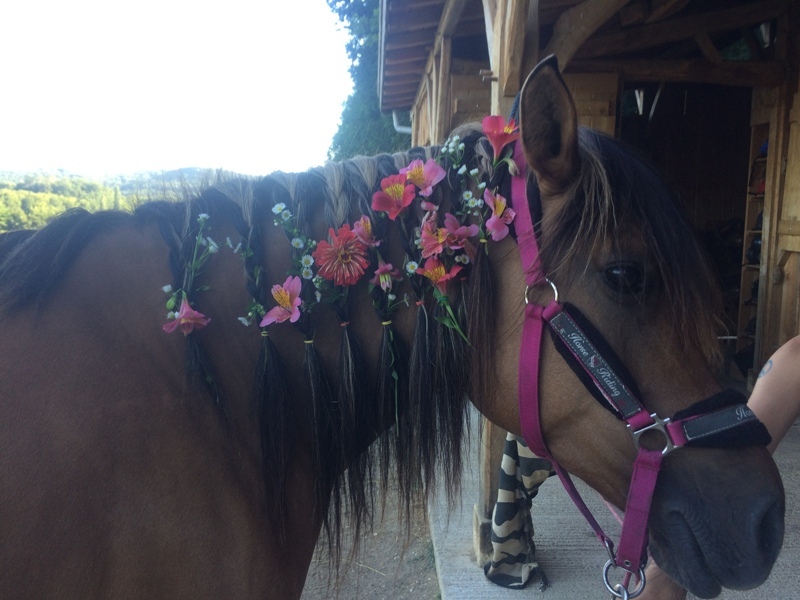 You will be accompanied by Dörte, our instructor, who has lots of experience in trail riding. Level : all levels, suitable for children from 6 years. 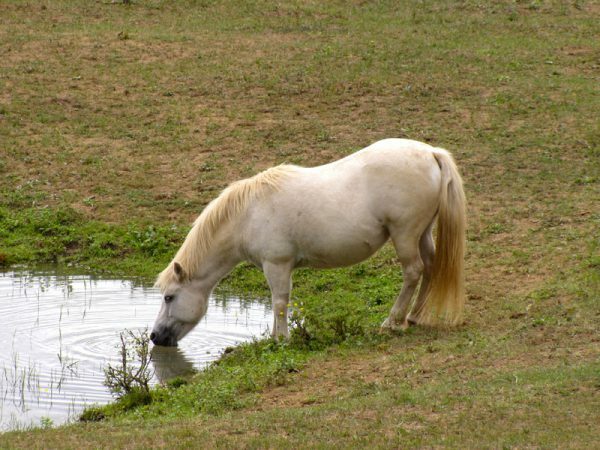 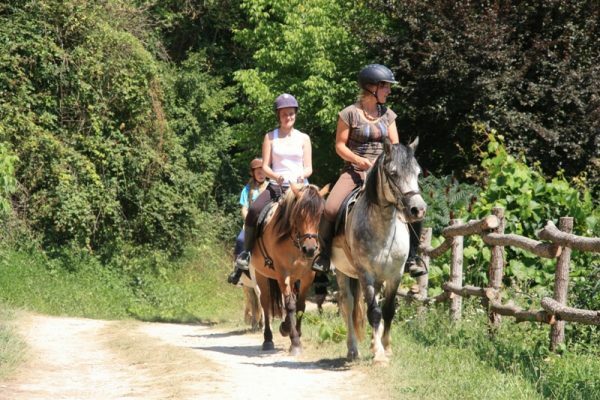 A very nice one day trip on your horse with pique-nique in the nature. 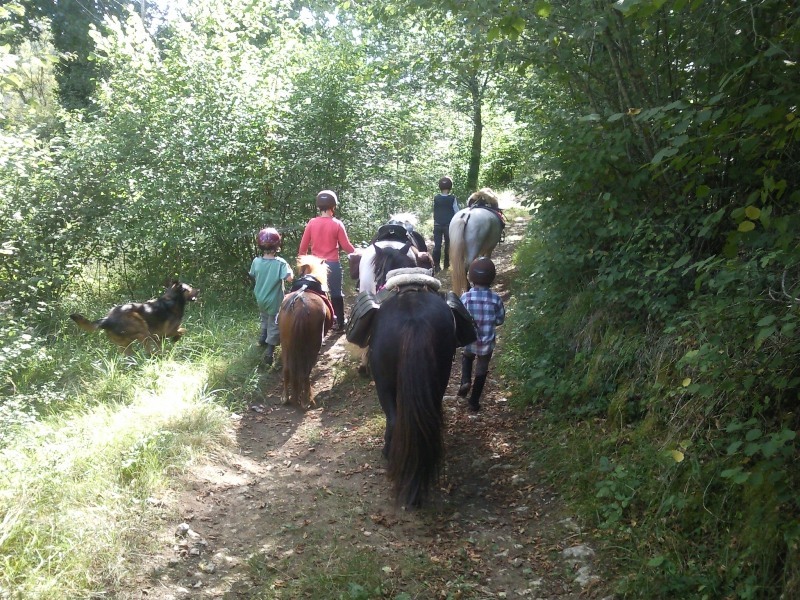 Unusual, a trail of 2 days with bivouac! 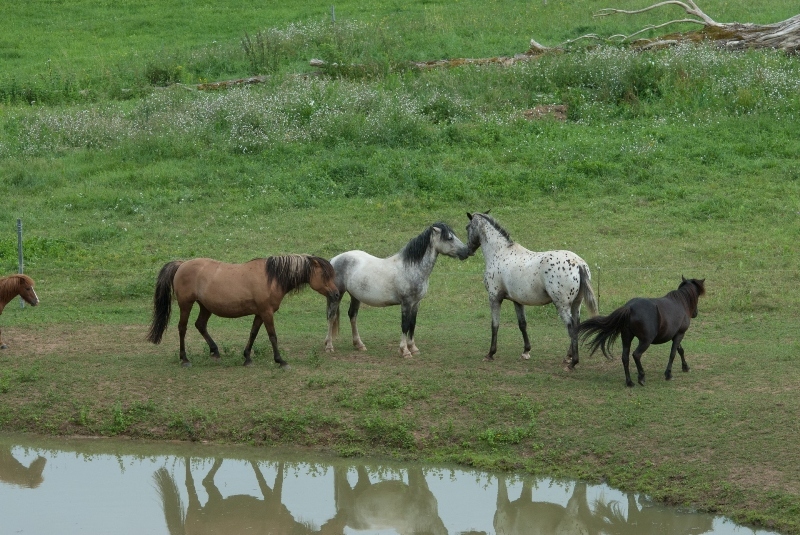 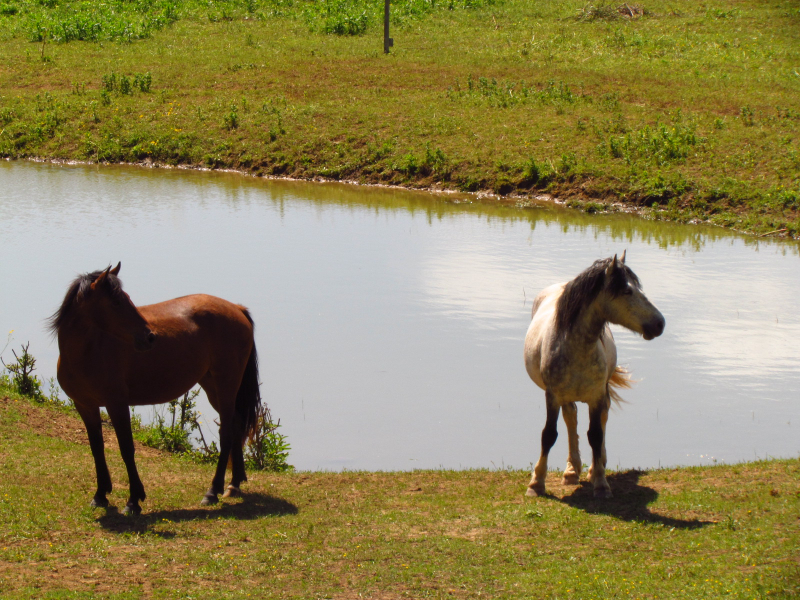 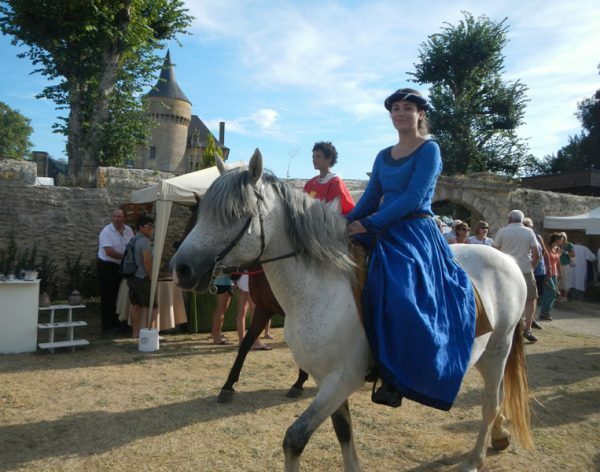 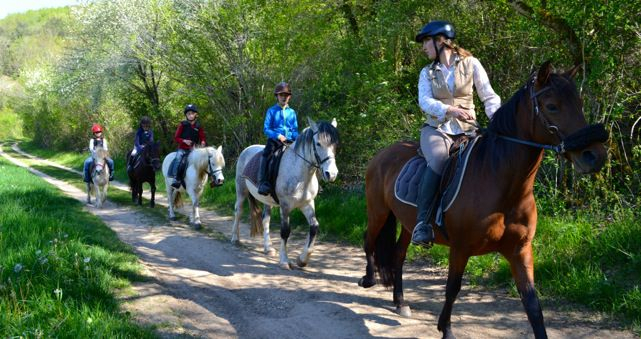 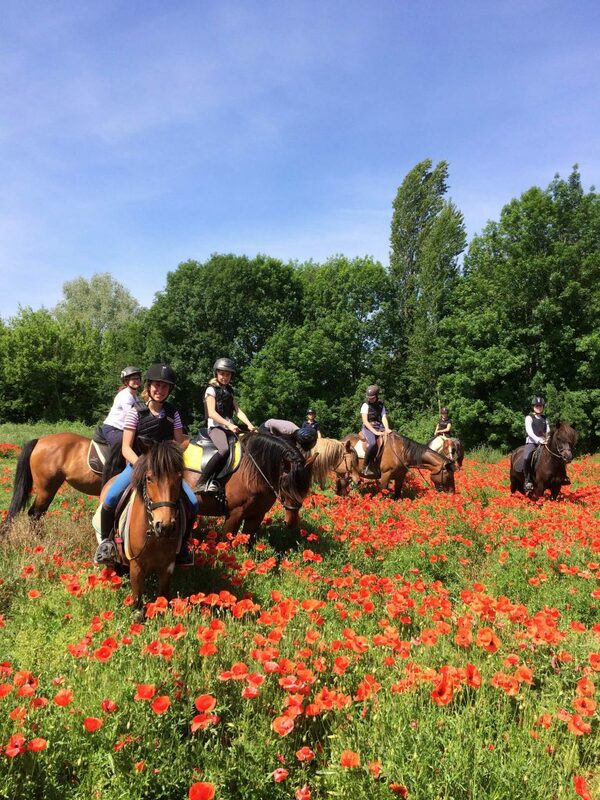 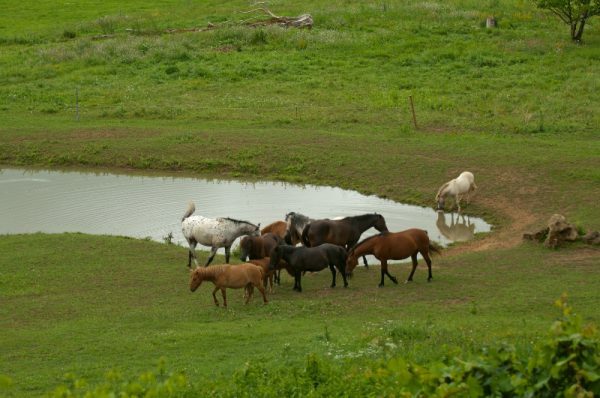 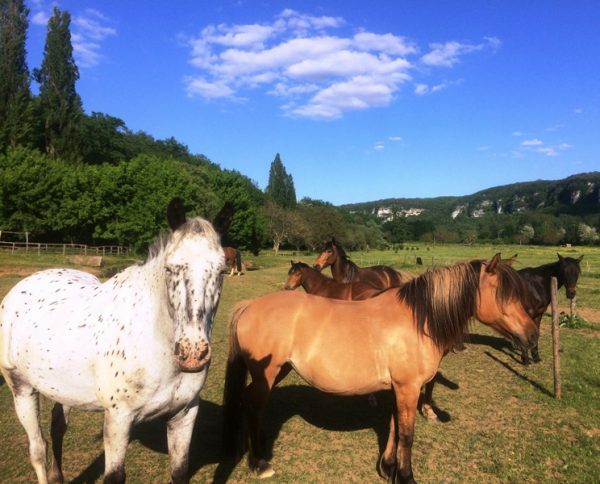 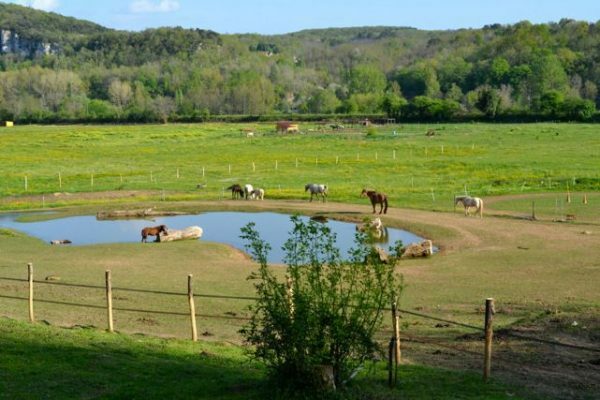 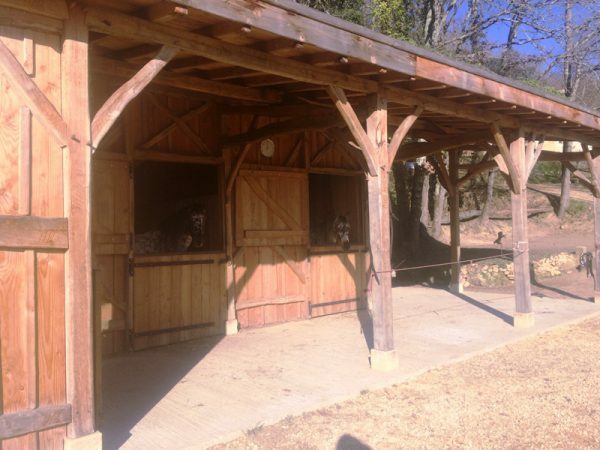 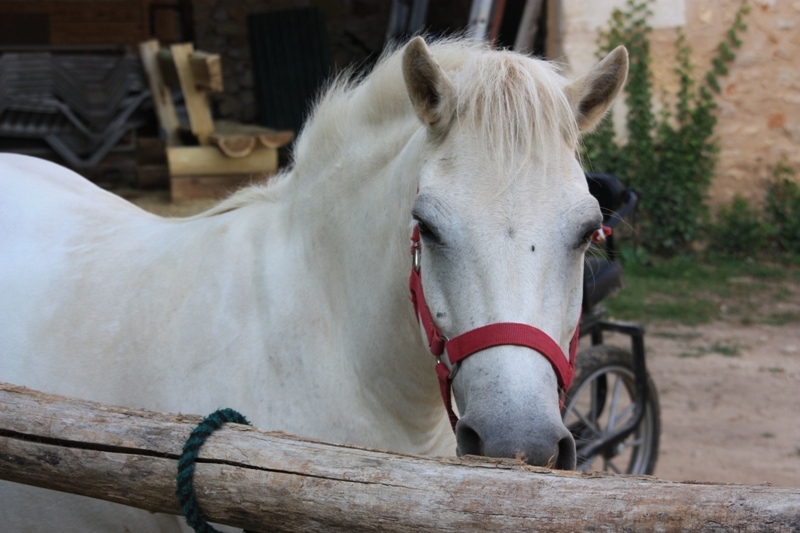 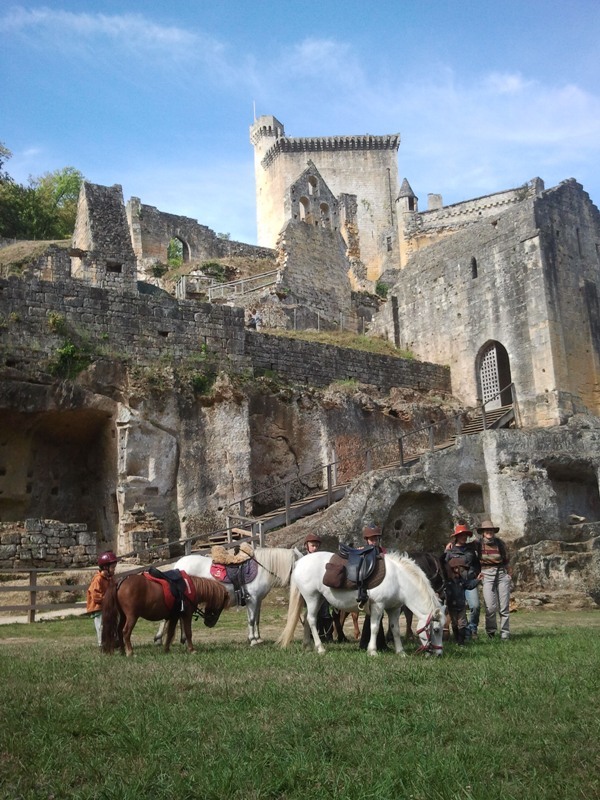 In family or between friends discover the magnificent paths of black Périgord on horseback or pony. Bivouac, evening on campfire, lunch and snack included. 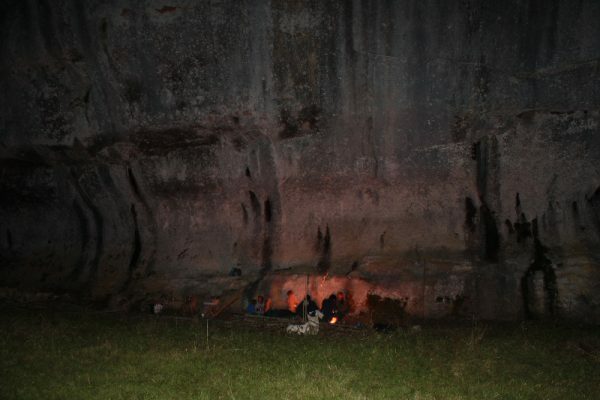 Tents are provided; you have to bring sleeping bag, change clothes and hiking schoes. 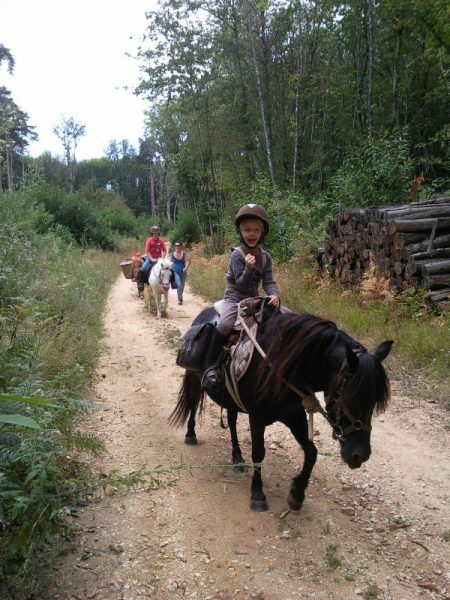 Transport of material is provided, too. 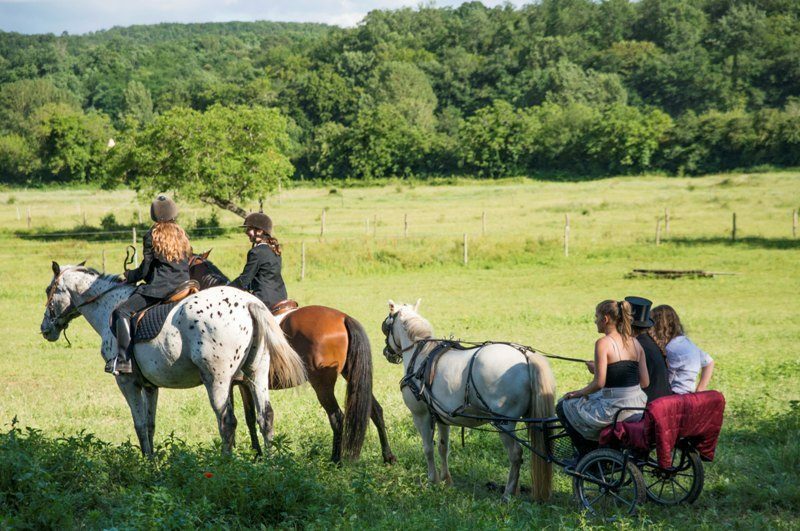 1ère partie : Initiation à la voltige, pour donner la confiance et un bon équilibre aux jeunes cavaliers. 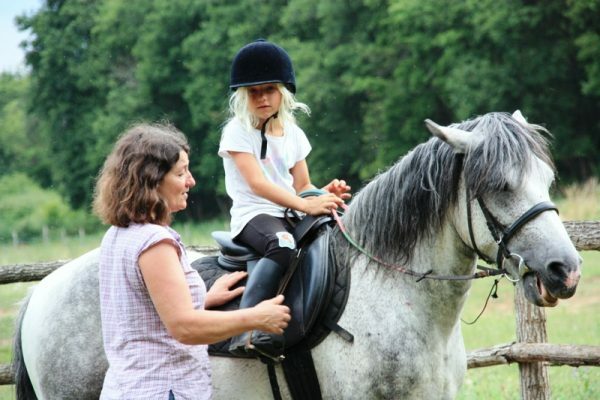 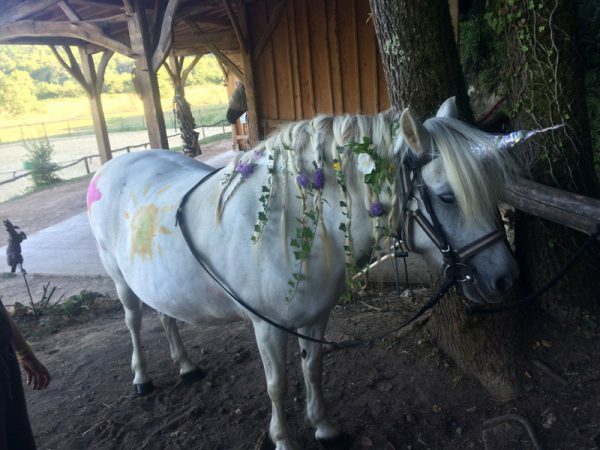 2ème partie : initiation à l’attelage poneys, chaque enfant aura l’occasion de conduire lui-même le poney aux longues rênes. 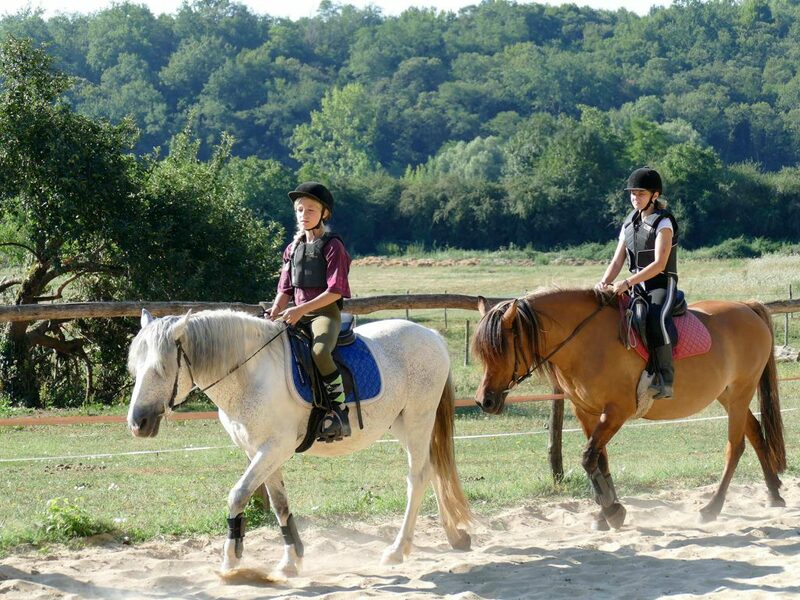 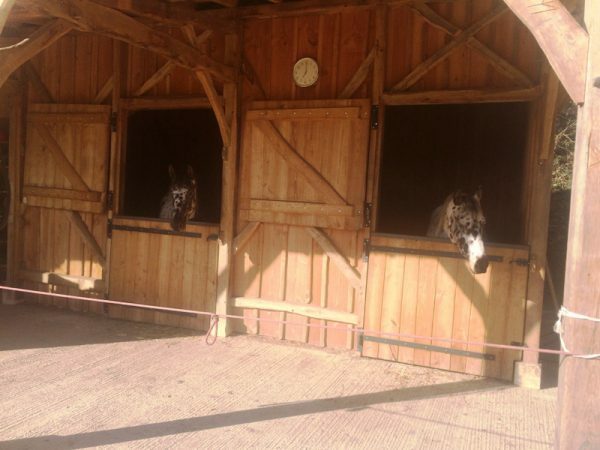 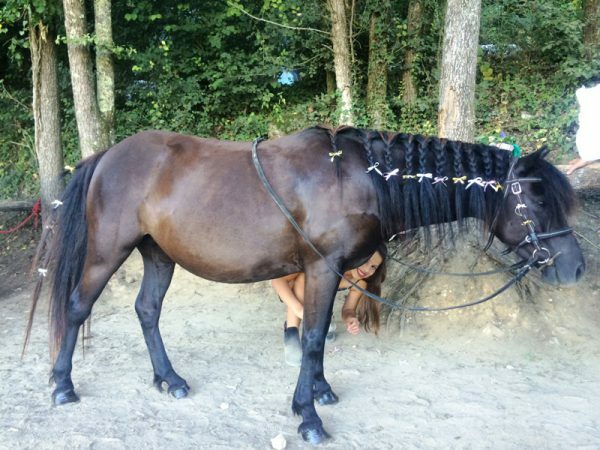 Horse boarding, training of young horses, preparation/ correction… Please Don’t hesitate to ask!